10. The first cultivated grape in the nation is the Scuppernong, which is the official fruit of the state of North Carolina. 9. The annual economic impact of the North Carolina wine and grape industry is $813 million with 5,700 workers employed. 8. Medoc Vineyard in the town of Brinkleyville in Halifax County was the first commercial winery established in North Carolina and led the country’s wine production in 1835. 7. There are three American Viticultural Areas (AVAs) or appellations in North Carolina—Yadkin Valley, Swan Creek and the Haw River. 6. 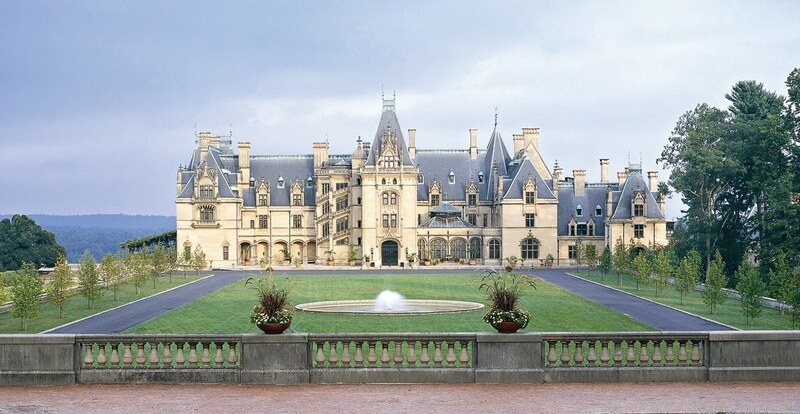 Asheville is home to the Biltmore Estate Winery, which receives more than one million visitors annually, has over 1,700 employees and is the most visited winery in the United States. 4. North Carolina ranks around 7th or 8th for wine production in the United States (depending on which stat’s you read). 3. In the early 1800s, Thomas Jefferson noted North Carolina taking the lead with wine culture, estimating its "wine would be distinguished on the best tables in Europe, for its fine aroma, and chrystalline transparence." 2. North Carolina has over 100 wineries and 400 vineyards. This number has quadrupled since 2000. 1. On Roanoke Island, there is a 400-year-old Scuppernong vine that is the oldest-known grapevine in the United States. 5 Million Bottles of English Bubbly to be Sold by 2015.